We replace and install tanks inside and outside your home. Davis Oil supplies and sell the North American made Granby 12-gauge oil tanks. These tanks are proven for indoor and outdoor use and we have used them exclusively for decades. Outside tanks require being set on a solid concrete pad in which we include in our outside tank package. We have outside tank structures that also act as secondary containment for added protection. Some tanks can last for decades and a lot of this depends on the environment where the oil tank is located. Tanks that are in conditioned (heated or climate controlled) spaces generally have a longer life than tanks that are exposed to constant high humidity. Keeping a tank full in the non-heating season also lengthens the life of the oil tank. Be sure to call us if…. We are happy to look at your current tank for a free evaluation, contact us for your evaluation. We safely handle fuel oil every day. This is not a time to hire someone not in the business! 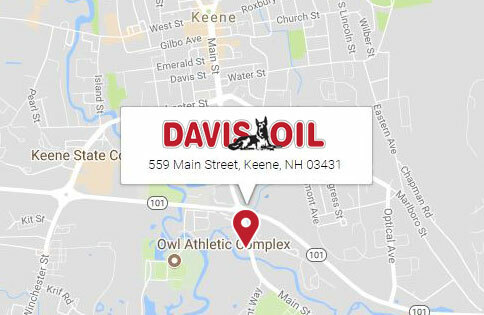 Davis Oil has done the most complex oil tank replacements. At times, we have had to cut old tanks in 1/4s to remove them from their locations. All our tank installations and replacements are done by our qualified in-house employees. We will pump, filter and clean the oil in your existing tank back into your new tank with no mess. Your old tank will be cut, cleaned and brought to be recycled. Your old tank will be removed and the new one installed in one day. Indoor tank replacement package which includes the removal and disposal of the old one generally runs $2175.00 complete. Outdoor tank replacement package which includes a precast concrete pad complete with the removal and disposal of your old tank generally runs 1875.00 complete. Please call or contact us for a free site visit and firm price. 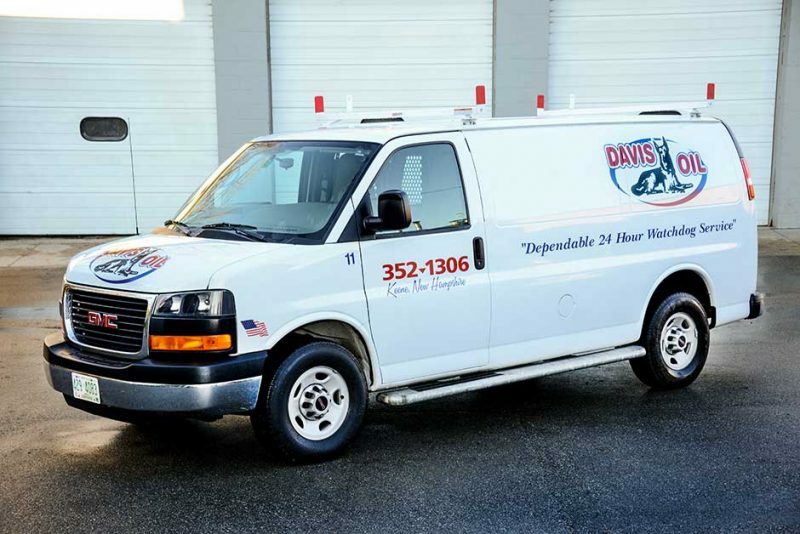 Start the conversation about how Davis Oil can help you with your oil tank replacement. We are happy to come to your home to evaluate your tank replacement and give you a firm price.